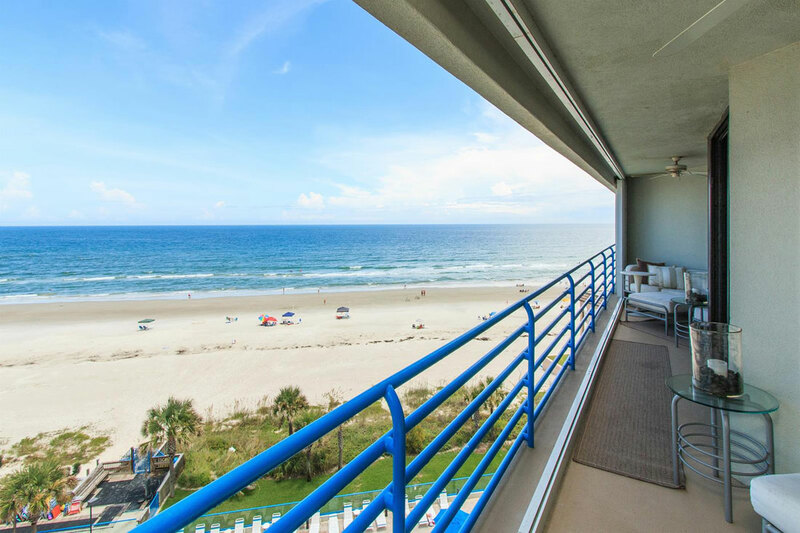 Vacation or honeymoon at our luxury 2-bedroom-2 bathroom Direct Oceanfront Condominium in New Smyrna Beach, Florida. 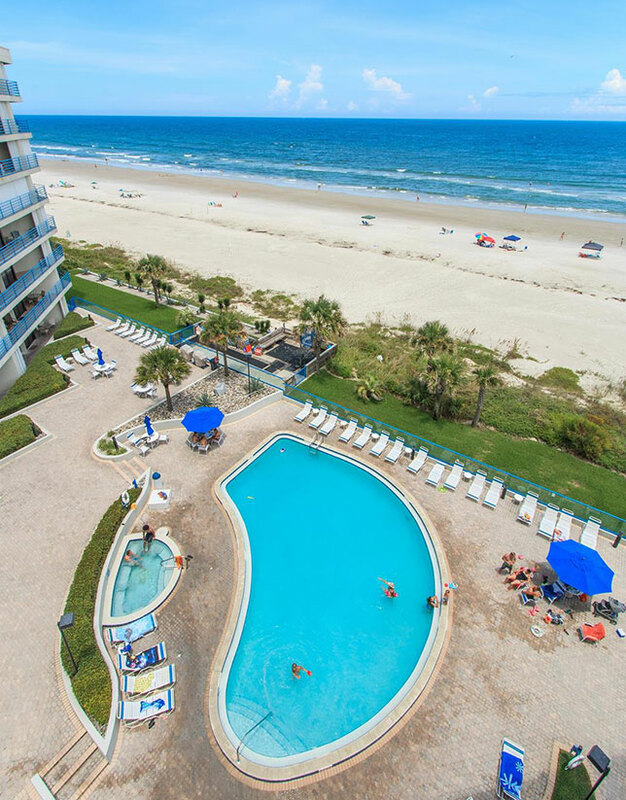 It’s as good as Hawkesdene but located on the beach. 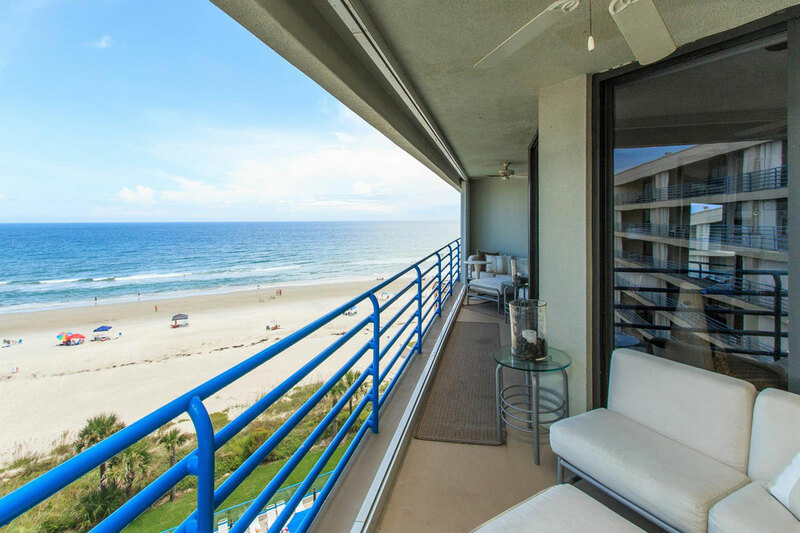 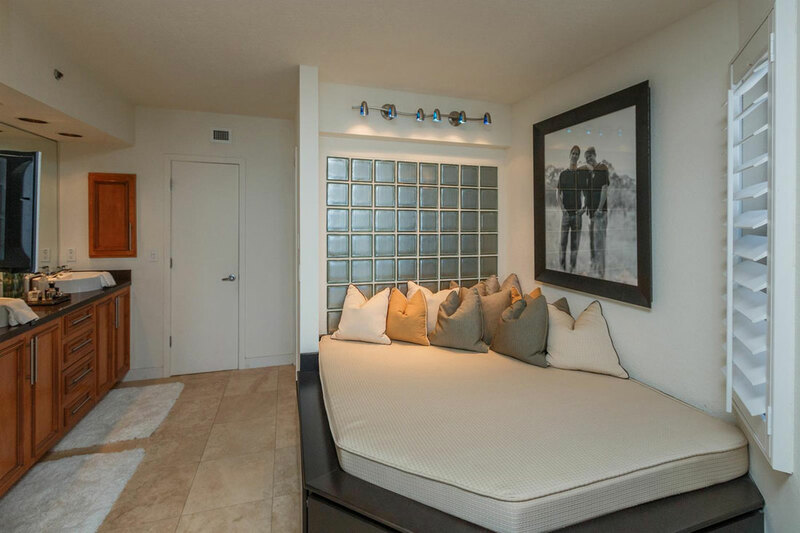 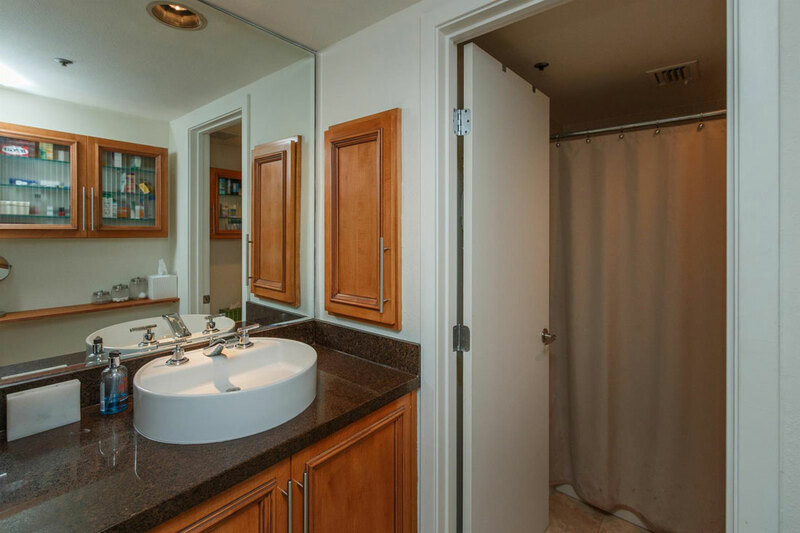 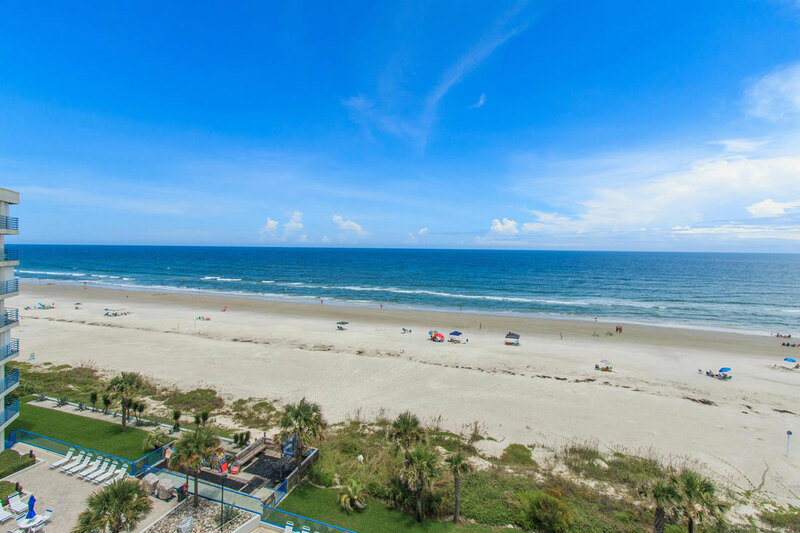 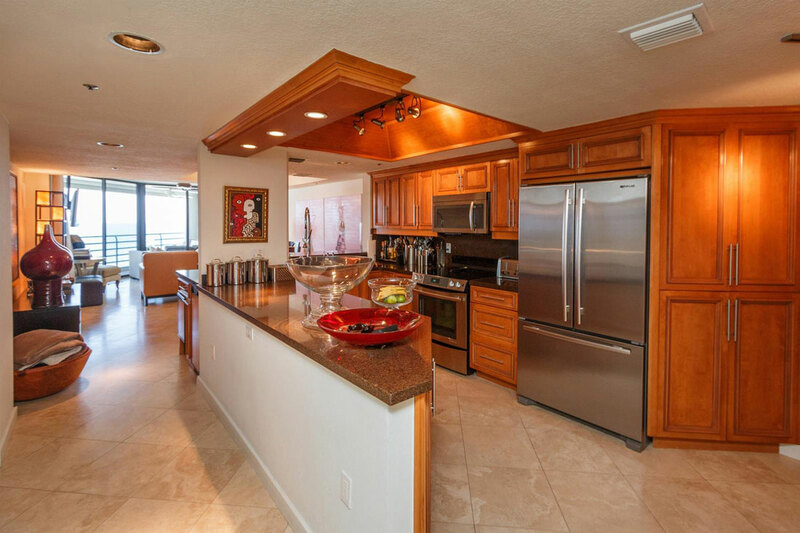 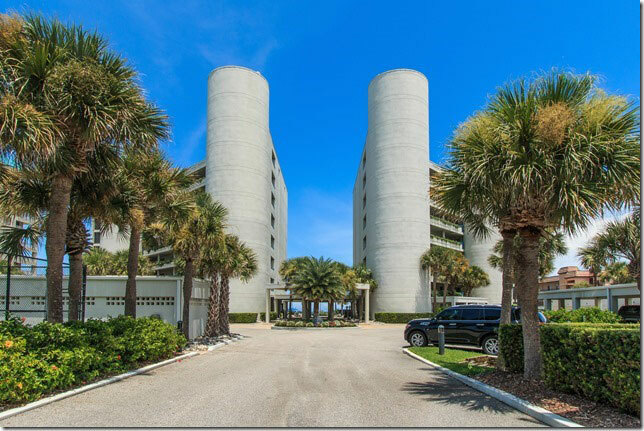 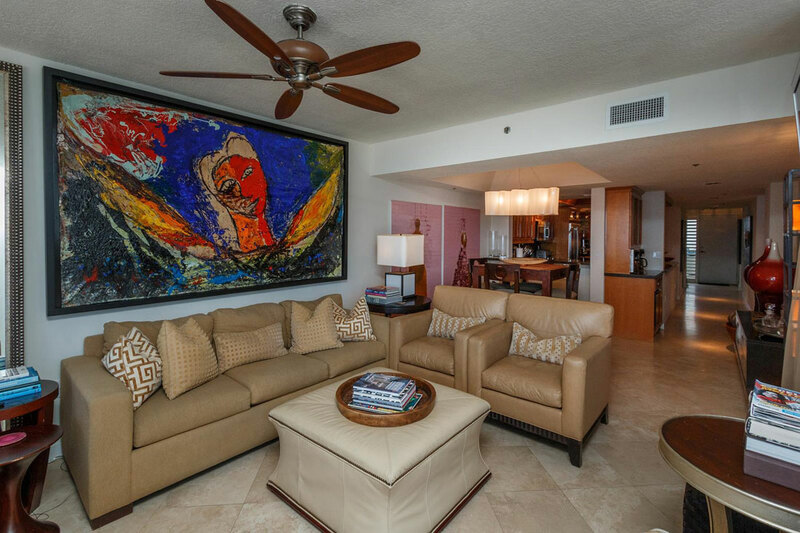 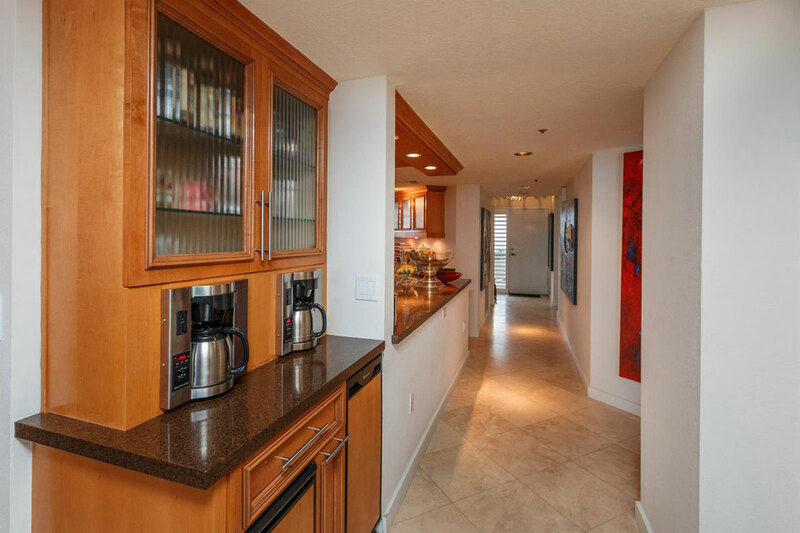 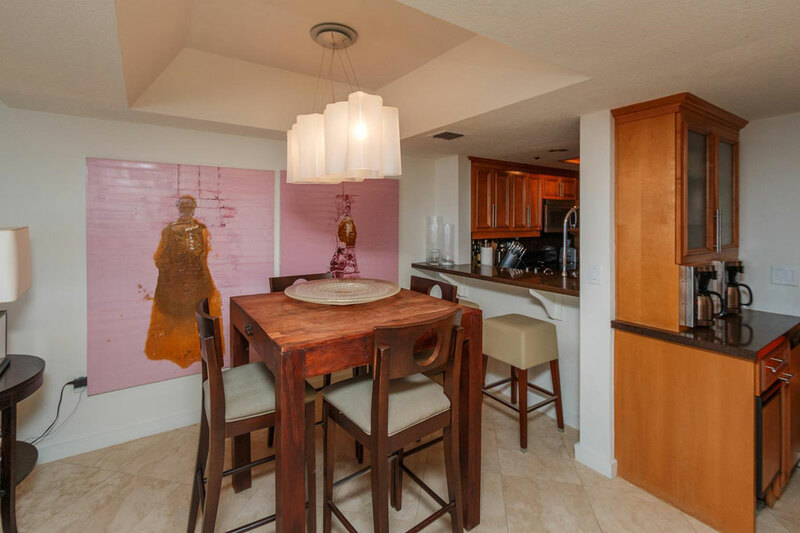 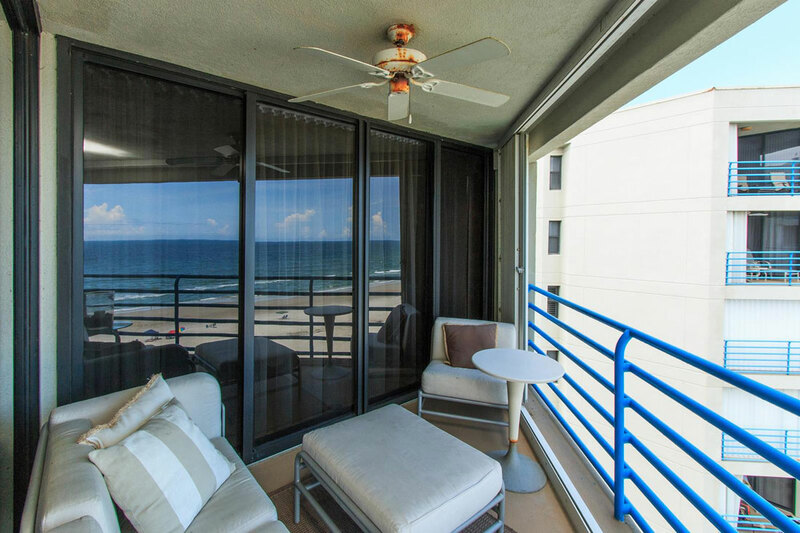 Our beautifully designed and perfectly appointed oceanfront condo, located on the 7th floor and just off the elevator in the securely-gated Ebb Tide Condominium complex, has been our home for years and has not been rented until 2017. 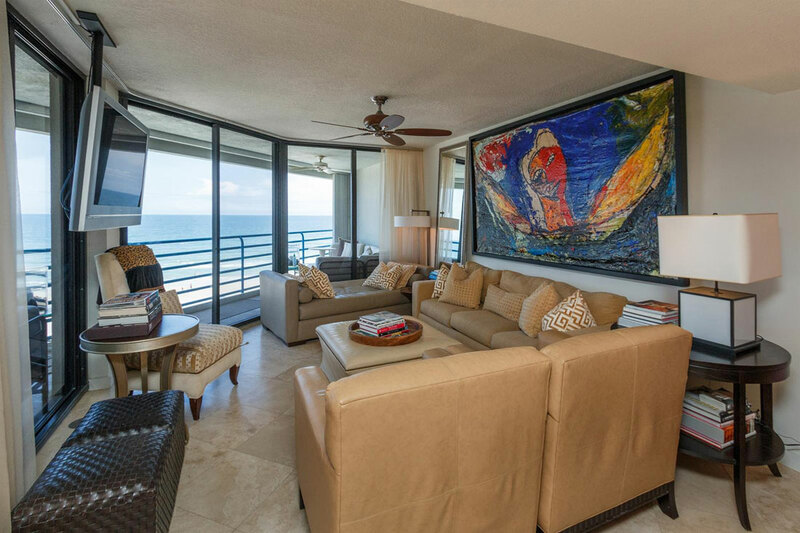 It is stocked with everything including custom-made furniture, original artwork, fabulous lighting, fully stocked kitchen and bar with ice maker, high speed Internet, and a furnished balcony with wrap around Sunbrella-fabric sofas. 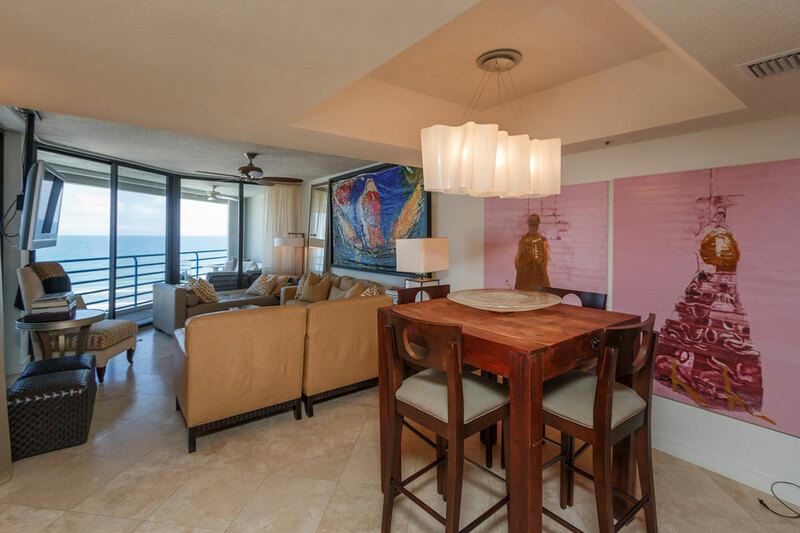 The living room has designer furniture and a 55" TV suspended from the ceiling providing unobstructed views of the ocean. 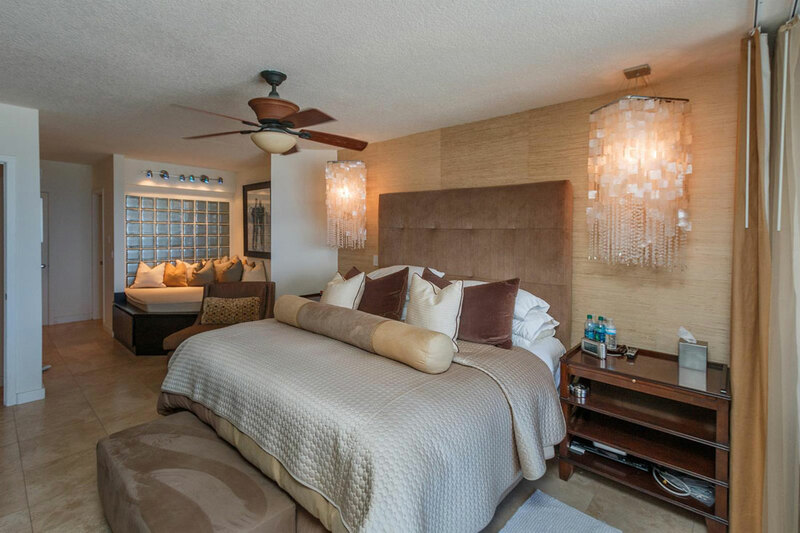 Both bedrooms have sheers and black out curtains, a 40" TV and matching super lux king size beds & linens which are absolutely the most comfortable beds ever. 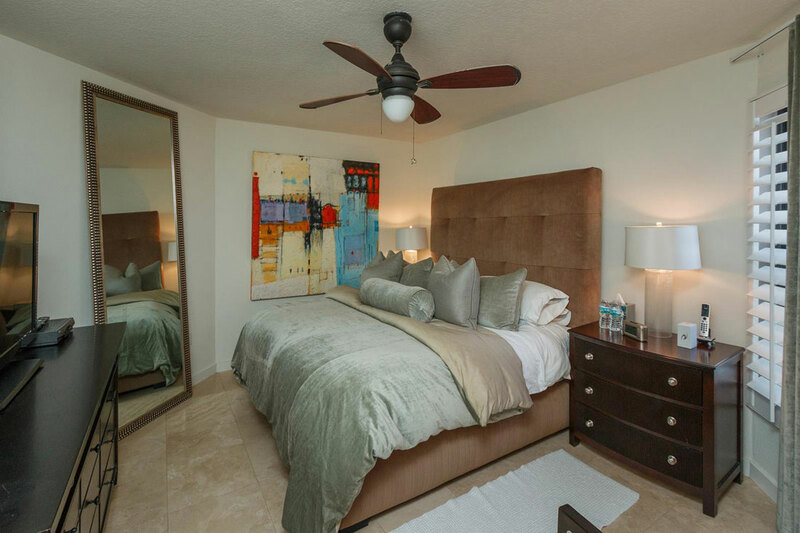 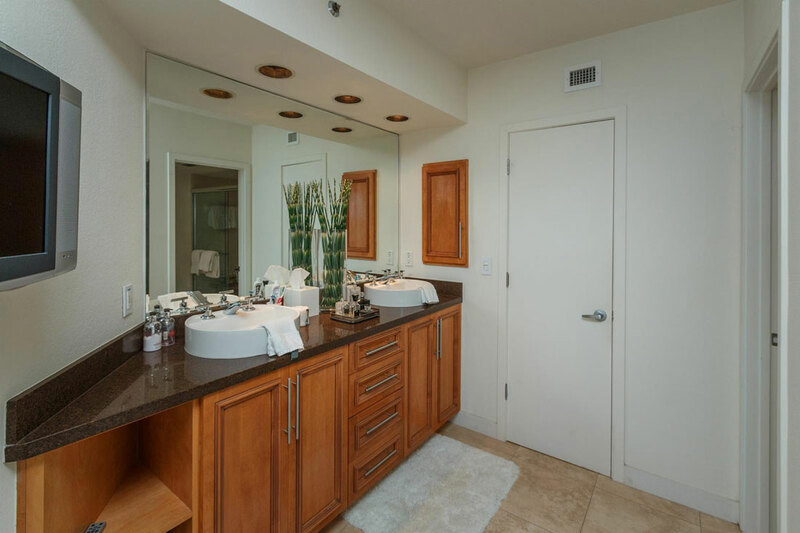 The master bedroom includes an over-sized bathroom with a double vanity and walk in shower and a daybed including all linens that sleeps 2 guests. 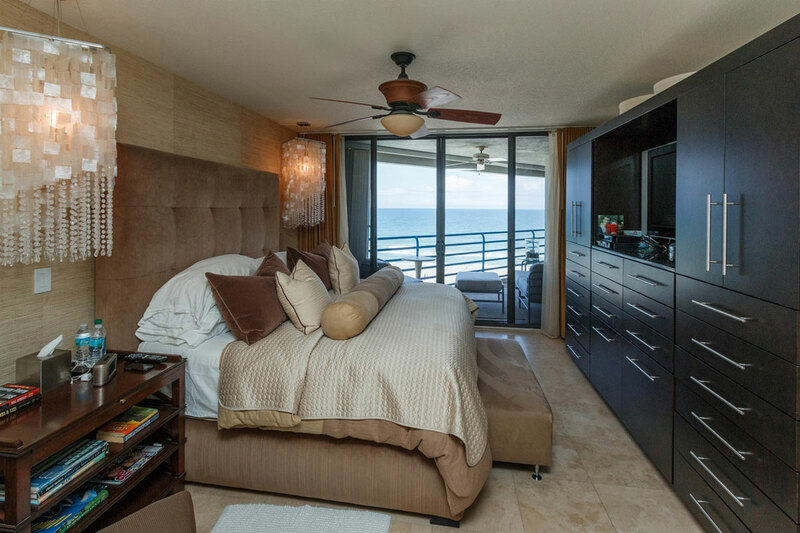 The blue ocean waters and amazing sunrises viewed through the walls of glass in this home are awesome. 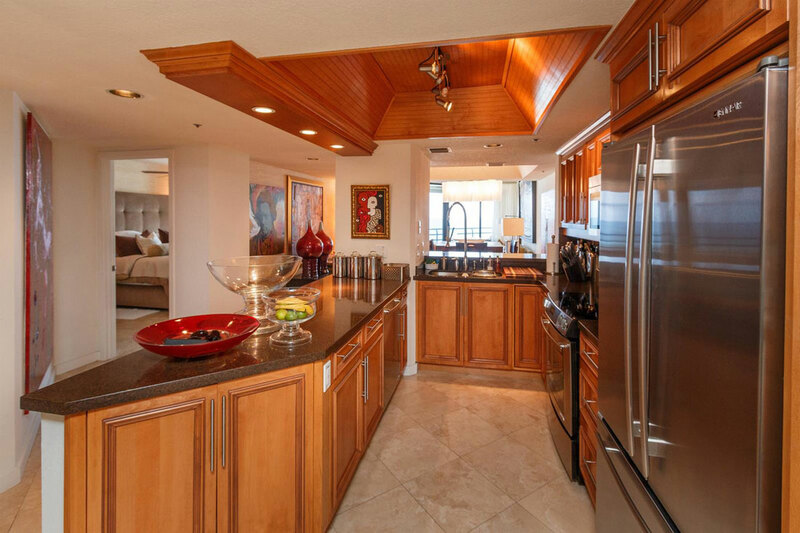 The kitchen is loaded too. 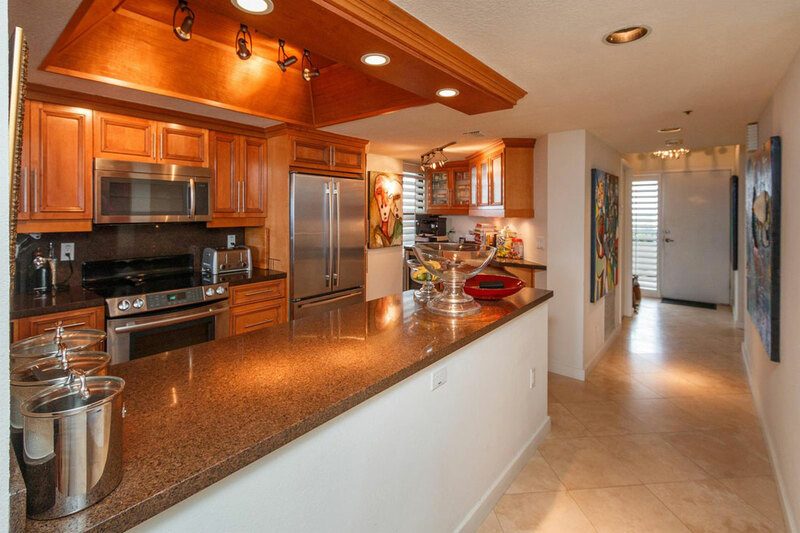 The neutral colors, travertine stone floors, granite counter tops and other high end finishes run throughout. 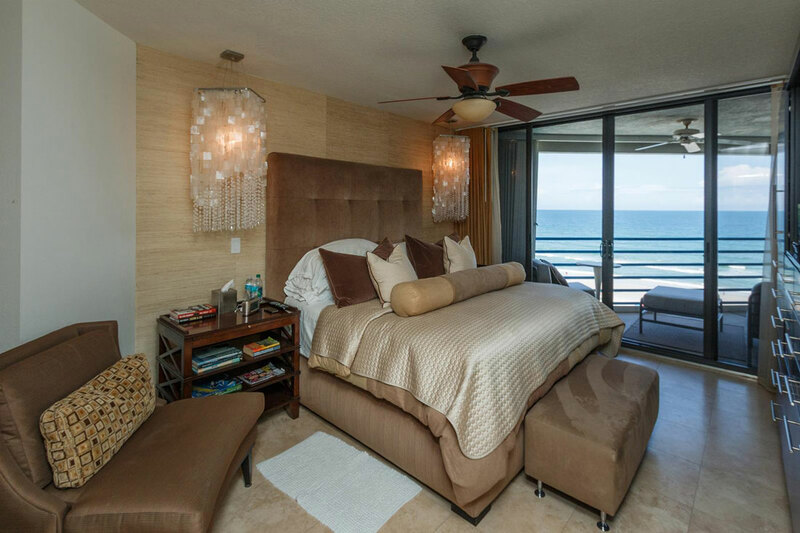 This home is by far one of the prettiest and most comfortable on the beach and in the best location on a private 'no drive' beach. 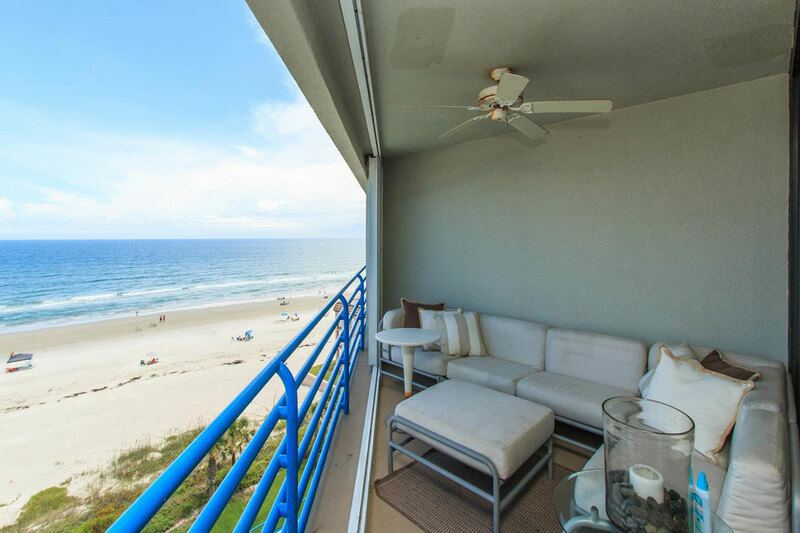 Once you settle in you will not want to leave.